I have to admit. I was an Olympic skeptic. In the run up to the start of the games I doubted our transport system could cope (especially after the disastrous attempts to handle crowds over the Jubilee Weekend in London, and of course any game at Wembley Stadium), I was certainly firmly in the “very disappointed” camp with my meagre allocation of tickets and had experienced first hand the shocking tactics of certain hotels in hiking their prices to obscene levels. When major sporting events take place overseas, we (and by we I mean the Daily Mail) try to suggest that they are representing the nation in their disgust at the way we are being “ripped off”, yet when it is on our own front door it is seen as something we should get behind. But more of that later. One month before the games we had manage to have tickets for just the football in Hampden Park. Then, as slowly but surely, ticket were released to the general public I was determined to attend as many events as possible. This in itself was (and still is) one of the most frustrating processes known to man. I think it is fair to say that anyone who buys tickets on a regular basis in this country does not have a good word to say about Ticketmaster, and for the Games it was (and still is) no different. But as I made the long long walk across Windsor Racecourse on my way with the Fuller clan towards Eton Dornay, I was about to take my Olympic Games viewing to eleven different events. All of these tickets had been acquired by daily (hourly in some cases) searching on the official website over the past few weeks, overcoming the frustrations of the crappy website saying there are tickets, when clearly there isn’t. Tickets were acquired for the Athletics at 2.30am for that morning, a ticket for the first ever British female Olympic boxing match popped up on my screen at breakfast time after dozens of searches for the event had been fruitless, thanks to the power of the F5 button and finally, thanks to a Spurs fan who decided to head over to the US for their summer tour, the Current Mrs Fuller had the “best anniversary present ever” with a day on Centre Court watching Venus, Murray, Djokovic and Sharapova for less than the price of a burger and Coke at the Emirates. The most expensive ticket was just £65, with most being obtained for £20. Whilst the process was painful, as we headed to Westminster on the first weekday of the games, there was a different atmosphere in the capital. Could we actually make this a success? The next twelve days would tell. In the first part of our Olympics Diary, we will cover our experience of the “Greatest Show on Earth” – the good, the bad and the downright crap. 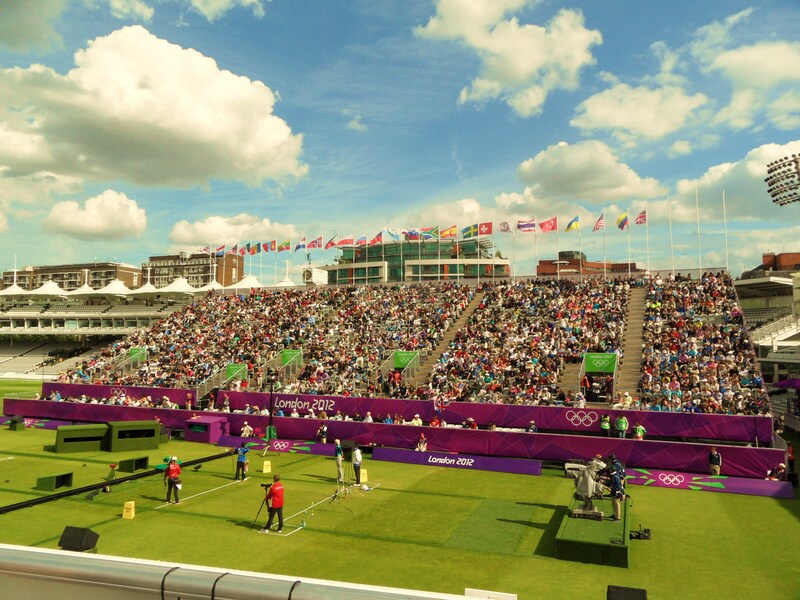 Last May, a series of events were held in some of the Olympic venues under the banner of “London Prepares”. 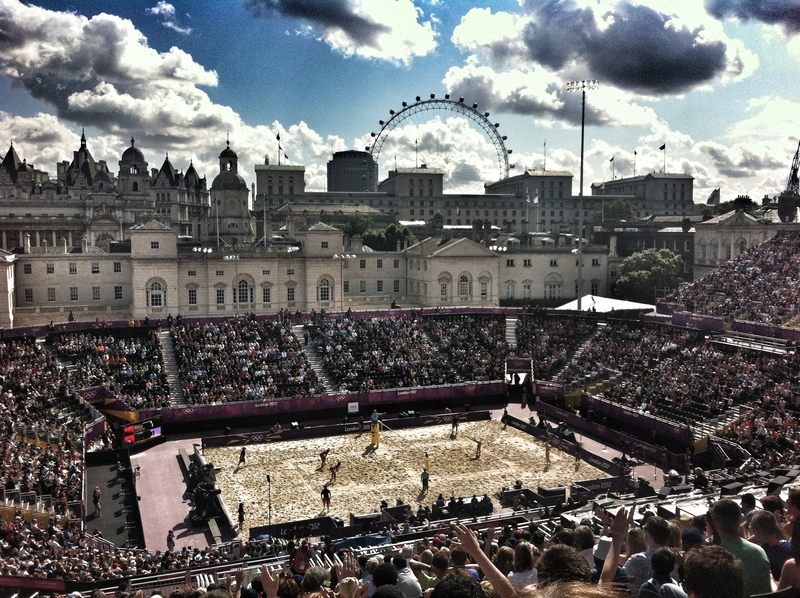 I caught wind of this very early on, and as soon as it was announced that one of those events would be Beach Volleyball, staged at Horse Guards Parade I was first in the queue.Of course at the time I had no idea if it was the women’s or men’s game (well, that is my story and I am sticking to it!). Perhaps it was the sunshine, the beach atmosphere or even the impressive “spikes” on the girls, sorry, athletes, who didn’t need much encouragement in getting their kit off to play the game. A year on and apparently this was one of the hottest tickets in town. That was until dribs and drabs of “returns” were released back to the general public. Eighty pounds for the Fuller family seemed like a smart investment – assuming that the very unseasonal British summer behaved – after all this was one venue where there was no cover for inclement conditions. As we headed up into London, the news was dominated by the rows of empty seats in the “Olympic Family” section. After seeing (and buying) first hand what really happens to these “family” tickets at major football tournaments, why was anyone surprised? If you were being sent to the best city in the world, on an all expenses paid five-star trip, by the tax payers of your country, why would you bother to go to the actual events? 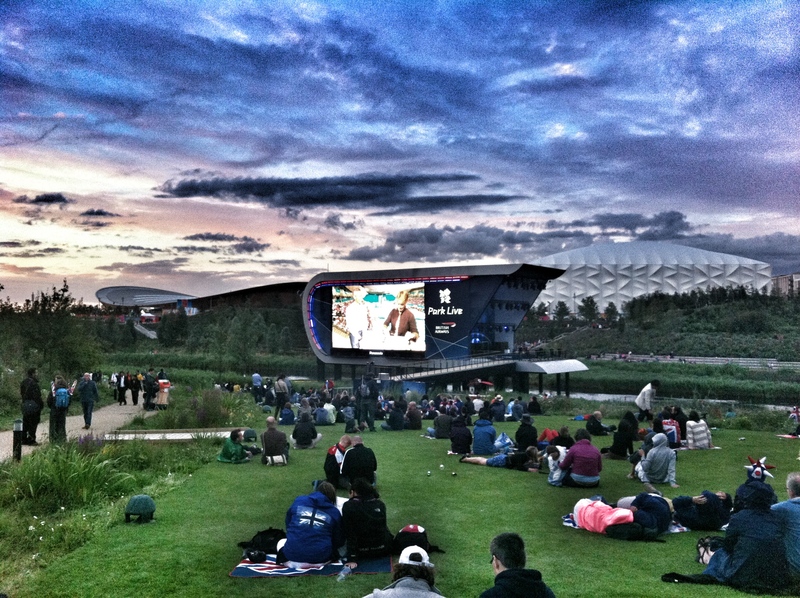 It seemed that this was becoming a major embarrassment (as I write this on Tuesday 7th August at 9pm, John Inverdale has actually asked a question to Lord Coe about the inefficiencies of the ticket process and crap website). LOGOC assumed the public that there wouldn’t be any empty seats in the rest of the Games as they were being put on sale to the public. Hmmm. As well as telling us to allow extra time for our journey (public transport was almost like a ghost town), we were advised to get to the venues up to 2 hours before the start of the session. As usual I ignored that advice and wandering up to the entrance to Horse Guards thirty minutes prior to the start to be met with ultimate efficiency. Having experienced the appalling organisation of security at the Jubilee celebrations in London in June, it was fantastic to see that the military had been brought in to manage the entry and security process. It did seem very strange to see them in full combats without their weapons – lots of hand wringing was going on. And so up to our seats. The Games volunteers were in fine voice despite it being 9am on a Monday morning, helpfully directing everyone. We began the climb up high above Whitehall and the pre-event build up had started with dancers in bikinis. After all, when you come and watch women jumping around in swimsuits you need a bit of a distraction don’t you? Sepp Blatter’s strange (and sexist) comments over the past few years about women’s football attire has some foundation in this sport as back in 1999 the International Federation of Beach Volleyball (or FIVB to confuse us all) rewrote the rules that stipulated that females had to wear two-piece bikini and also what the maximum size of the bottoms (the attire and not the actual players bums) could be. Since it was introduced into the Olympics in 1996 it has been one of the best attended (in terms of capacity ratio) events. I wonder why? The weather was perfect. Bright sunshine giving the arena an almost Mediterranean feel. The temporary stadium, built in just six weeks since the Trooping The Colour was overlooked by three London icons. To the north was Lord Nelson, sporting a Union Jack hat atop his column. Straight ahead to the east was the London Eye, and to the South was Big Ben, and home of the internet (this was a joke in the IT Crowd and at least one of my daughters still believes this is true). Time for some action. The session featured four games – two womans and two mens. 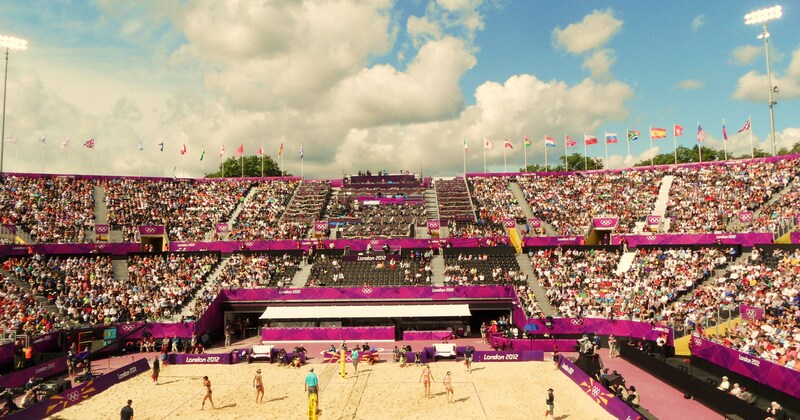 The first womans game featured the Czech Republic against that great Beach Volleyball nation Mauritius. A quick check with BlueSquare saw that the Indian Ocean Islanders were a bargain 66/1 to win this, and it was no surprise when the blonde pairing of Klapalova and Hajeckova wrapped up a two set win in just 28 minutes. Game two saw one of the favourites for the Gold medal Xue and Zhang from China taking on the Swiss pair. Amazingly, Kuhn and Zumkehr took the first set before the Asian giants (both over 6ft) powered their way to victory. I took an opportunity to have a wander around the impressive arena. Alas, the words of LOGOC were as hollow as we thought they would be. Whilst most of the 15,000 seats were taken with people enjoying the spectacle, the Olympic Family seats (distinguishable by the stickers on them and over the top security around them) were almost deserted. This would be a theme we would see throughout the Games, despite the hollow official statements. The crowd got fully into the event and after the girls, out came the boys. Unfortunately for CMF they were not dressed in tight Speedos but in a more respectful baggy shorts and vest combination. The Norwegians easily saw off the Canadians, whilst the showmen of Latvia beat South Africa. Three hours of high-class athleticism, sportsmanship and skimpy swimwear had been well worth £20 of anyone’s money. More pictures from the event can be found here. The Fuller family then went our separate ways. I had managed to bag a £35 Archery ticket at Lords, whilst the girls were off to enter the Olympic Park to watch some Water Polo. Once again the main artery of the Olympic transport plan, the Jubilee Line was almost deserted. Unfortunately I also had some work to do in the form of a conference call regarding some commercial matters with six of my fellow managers from our global offices. I had hoped by 2.30pm that the call would have finished so I could get into Lords, but it seemed it would last the duration so I decided to go in. With everything needing to go through the security scanner I simply muted the call and put it through the X-ray machine, hoping that the electromagnetic feedback would not somehow result in their painful deaths via some kind of gamma poisoning. The soldier at security reminded me my phone appeared to be on but after explaining why he understood – I was “at work” after all. The call finished fifteen minutes after the afternoon competition had started. I would like to apologise to my colleagues for my lack of contribution on such important topics after 3pm but after all this was a once in a lifetime experience. It goes without saying that my knowledge of archery was zero. I obviously knew that the aim was to hit a target the size of a packet of Monster Munch 70 metres away. But I didn’t realise how quick you could be eliminated. Nine arrows, approximately 90 seconds worth of competition and your Olympics could be over. What was fantastic though was the skill of the individuals. Bullseyes were common, so too were “perfect” rounds of 30. The format was slick and with the sarcastic American commentator often muttering things like “oh dear” and “he wont be happy with that arrow”, the crowd were kept amused and entertained. Ah, yes the crowd. Two big stands sitting opposite each other on the hallowed turf , flush to the iconic pavilion, which was of course, home to the “Olympic Family” and thus almost empty. It is one of the few sports that has been open to both male and female competitors since the start of the modern Olympics. In fact one of our first medalists back in the 1908 games was 53 year old Queenie Newall, which is still a record today for the oldest female gold medalist. Another “pub ammo” fact was that Geena Davis took part in qualification for the US 2000 Olympic squad, finishing 24th out of 300 entrants. One amusing aspect was the process whereby the archers got their arrows. At the end of each set of three, two games volunteers walked in unison down the side of the stands and stood patiently next to the archers, before handing them their arrows. One set of these volunteers were young, quite attractive girls. Every time they went down to do their role and then came back, an older volunteer would give them some “encouragement” with a friendly “pat” on the lower (very lower) back. When it was the turn of the boys, they returned to a simple nod of a job well done. Two very pleasant hours spent in the sunshine watching some very talented archers had been well worth the ticket price. But now for the desert on a three-course Olympic meal. 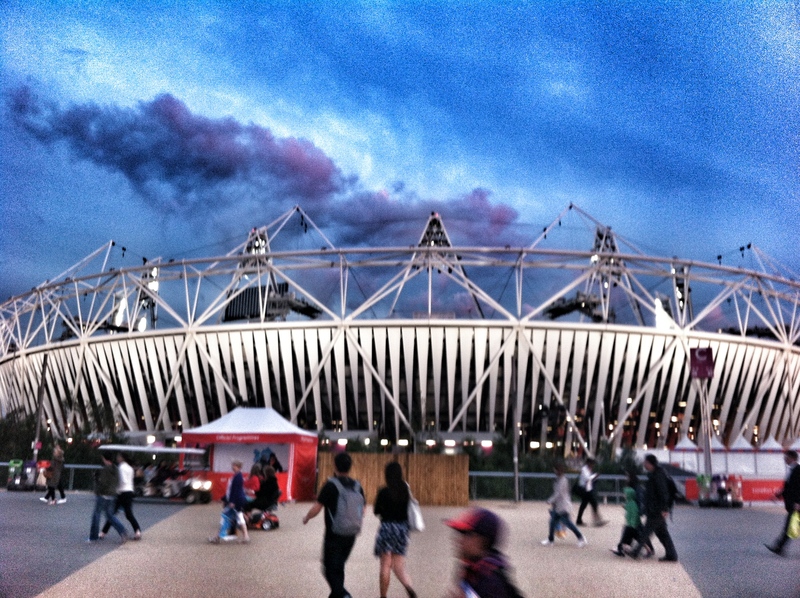 It was time for my first visit to the Olympic Park and a small matter of Team GB v Argentina in the Hockey. I had managed to get two tickets for this double-header session the day that the draw was made. So a few hours after trousering them I had the biggest smile on my face when I saw that we would be seeing Team GB v Argentina – the mother of all grudge matches. First up was rendevouzing with the Fuller girls and hearing all about the dastardly deeds of Womens Water Polo (to be covered in the next piece). The Park was busy and they went off to try to find some food before heading for Park Live to watch events unfold on the giant screens. To me this was a brilliant idea and provided some of the best moments in terms of atmosphere over the whole games. We did notice two issues though (and this was before the Stadium events had started and thus 200,000 fewer people in the Park). First up, there simply wasn’t enough catering outlets, and huge queues had built up everywhere. Secondly, there wasn’t any cover from the elements. Based on the fact we had experienced the wettest April, May, June and July since records began, as well as more recently temperatures in Central London topping 90 degrees. Hardly predictable weather that negates the need for any shelter. In fact a couple of days later, a website popped up telling spectators places in the Park where they could find some cover if necessary. I headed off to the Riverbank Arena for the Hockey. This was the temporary 16,000 seater stadium, which had been constructed at a cost of around £19 million. The future of the arena is still unclear, although Leyton Orient had put a bid in to move the mile or so from Brisbane Road after the games. Part of the huge cost was on the laying of the surface, which, despite the warm sunny conditions, appeared to be almost waterlogged, to give it an authentic “English” feel. Now here is a question for you. Why at some events is the national anthems played prior to a game – such as Football or the Hockey, yet at other team games such as Handball and Water Polo it isn’t? Anyway, the rousing rendition of God Save the Queen put us all in the mood. That was until the England Band started playing their out of tune, unwanted “music”. Please tell me they at least had to pay for their tickets (I doubt they did)? I really pity those who had to sit near them. I have spent the best part of a decade travelling around the world following England, praying that when I arrive in stadiums like the Dinamo Stadium in Minsk, or the Maksimir in Zagreb that I am not sitting anywhere near them. I’m not the greatest fan of hockey. I simply do not get some of the rules about what you can and cannot do with the stick. And then there is this penalty corner thing, where a few of the defenders are allowed to go behind the goal, open a large Tupperware box and put on various pieces of protective clothes before the ball can be fired at them at 250kmph. Then they stop again and take it all off. This of course all happens whilst the clock is running. Team GB made full use of their first Penalty Corner when captain Middleton fired the ball home in the 21st minute. The first half saw a number of fouls from both teams that resulted in this puzzling “Green” card being brandished by the referee. It appears that a Green card results sometimes in the player serving a two minute penalty (as in the case of Argentina’s Ibarra in the first half) or not (in the case of Argentina’s Mazillia). Then you have a Yellow Card (issued to both GB’s Catlin and Argentina’s Bergneri) which does lead to a suspension for a time that is decided by the referee who essentially acts as judge and jury. The second half saw Ben arrive with refreshments. The queues outside prior to the game had been huge and so watering (well, Bulmers) opportunities had been limited. But now with GB going into overdrive, scoring three quick goals through Smith, Fox and Middleton again, we needed to be in top voice. A consolation Argentinian strike from a penalty corner didn’t dampen the crowds mood and our Hockey team were off to a flying start. In theory there was a second game as Belgium were taking on Germany. Our tickets allowed us to see both, but like half the crowd we decided to leave. And this is the shame because thousands of seats went unused for that game yet thousands outside were desperate for a seat. Why couldn’t the organisers used the same technology that checked our tickets on the way in, to check us out and re-issue them to someone else? Or even allow us to simply give them to someone else? More photos from the game can be found here. I met up with the rest of the Fullers and we completed the evening with a leisurely wander through the Park. It was still very busy at 9pm and you had to wonder what it would be like with an extra 200,000 people in here once the Athletics and the Cycling got going later in the week. The stadium was lit up and looked magnificent. More photos from the Park can be found here. Our journey home was smooth and hassle free. We seemed to be one of the few people who were heading for Woolwich via the direct DLR route from Stratford International. A five minute walk from the exit and we were on our train. Twenty minutes later and we were in the car and home within 45 minutes. What a great day to kick off our Olympics (putting the football to one side). It had been well run, transport had been good, the Games Volunteers had been a credit to the nation and the sport had been tip-top. It was just a shame so many more could have experienced it if we had chosen a world-class ticketing company to run a world-class event. This entry was posted in Olympics and tagged Archery, Beach Volleyball, Hockey, London 2012, Lords, Olympic Park, Olympics, Water Polo. Bookmark the permalink. YAWN. How many times do you need to use effects on your photos? Good article. Ruined by trying to be too ‘arty’. Glad you enjoy the effort I put into them!